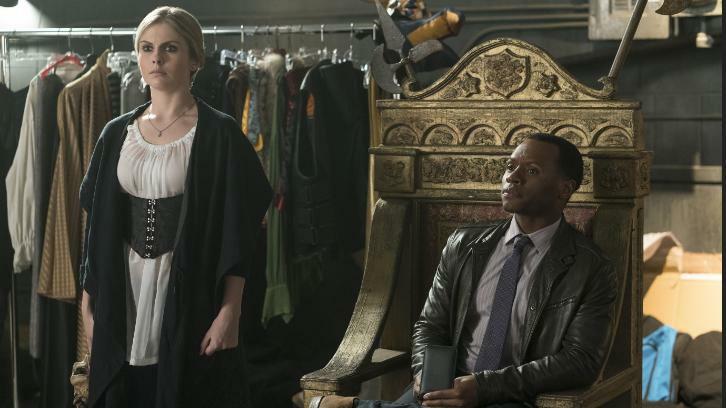 THOU ART A STRAPING YOUNG MOORE - While investigating the murder of a live-action role-playing knight, Liv (Rose McIver) consumes his brain and becomes a walking, talking Renaissance Faire. Clive (Malcolm Goodwin) and Liv find dark secrets in the LARPer world. Meanwhile, Peyton (Aly Michalka) uncovers a truth about Liv. Lastly, Major (Robert Buckley) embarks on a mission. Rahul Kohli and Robert Knepper also star. Jason Bloom directed the episode written by Diane Ruggiero-Wright (#408).